If I am reading the CME correctly what he is saying is that he now believes that people with ADHD-I are either ADHD Combined Type missing a few of the hyperactive symptoms or that they actually have a Sluggish Cognitive Tempo (SCT). People with SCT are described as slow, passive, daydreamy, shy, and HYPO-active. These are the folks that are most like Winnie the Pooh. There have been studies done that indicate that patients with SCT are definitely inattentive. The problem comes here. Most inattentives cannot be classified as having SCT. It is believed by some researchers that 40% of people with ADHD-I also have symptoms of SCT. That would mean that 60% of us would, using this new criteria, be lumped into the category of ADHD-C. I am not convinced that most people with ADHD-I are sub-clinical combined types or of Sluggish Cognitive Tempo. If your remove 1-2 hyperactive symptoms from the ADHD-C type don't you then get a person who is normally active. How do you perform a controlled study using that classification?? A recently published study done by Emory University evaluated the utility of using the symptoms of SCT for discriminating among DSM-IV subtypes of ADHD. Their conclusion was “that the inclusion of SCT symptoms in the ADHD diagnostic criteria has limited utility for isolating diagnostically meaningful subgroups of the Inattentive type…” A study done by the University of Chicago in 2001 where 700 children with inattention were evaluated found that symptoms of SCT positively predicted inattention but that inattention did not predict SCT. As a child, I might have fit the criteria for a diagnosis of SCT. I do not fit those criteria now. I can hold a great many numbers in my head and have no trouble with speech or reading. My son has a great deal of trouble with organization, distractibility, and inattentiveness but absolutely no problem with sluggish cognition. He is a 5th grader doing 6th grade math and he has always been a better reader than a mathematician. Does he have some symptoms of Hyperactivity? Does he occasionally fidget? Does he occasionally leave his seat at the dinner table? Yes, but no one who knows him would ever classify him as "almost hyperactive" and he has absolutely no impulsive symptoms. Someone may need to explain all this to me more thoroughly but I do not believe that you can wedge all people with ADHD-I into the categories of ADHD Combined type and Sluggish Cognitive Tempo. Winnie does not fit into his honey pot and we do not all fit into the SCT pot. Recently scribed adderall sr; helps with everything except memory is worse. I can't remember what I just did or was doing. Have you heard anything like this? Would ritalin be better for me? All the stimulants should improve working memory but this is different than short term memory which is what you would like to improve. I did a literature search and found that neither Ritalin nor Adderall was consistently found to improve short term memory. Interestingly, Atomoxetine, brand name, Strattera, seemed to improve short term memory in one study that I read. Biologically, you might think it was best suited for the primarily inattentive sub-type. In practice the individual response is all over the map. Strattera works wonderfully for some people and not at all well for others. It is worth a try though, I think. Thanks t-mom. I think I'm gonna wait and hope my body eventually adjusts to adderall. I'm too lethargic to take Strattera and my p-doc gets irritated if I suggest a medication. I fit the description of ADHD-PI SCT almost exactly. I also have bipolar II and the adhd-PI SCT symptoms are there no matter what state I'm in. I tried Adderral and Ritilin and neither worked. I know there are a few other nonstimulent meds do you recommend any of them? I also read that 25% of people with adhd are bipolar. Is that true? 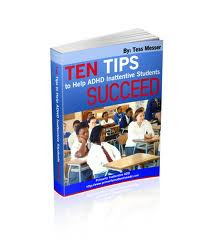 Also do you know of any good books specifically on ADHD-PI SCT or just PI? Drs. Pfiffner LJ, Yee Mikami A, Huang-Pollock C, Easterlin B, Zalecki C, McBurnett K. at the University of California, Department of Psychiatry got good results using a behavioral treatment. This improved both SCT symptoms and Inattentive symptoms. There is no book that I know of devoted to Sluggish Cognitive Tempo or Inattentive ADHD. Russell Barkley reports that there is a significant number of people with ADHD that also have depression. The percentage has ranged from 25% to 70%. The percentage of people with Bi-Polar disease is somewhat less and the number that I have seen is about 20% (I think). The co-morbidities for ADHD (Depression, anxiety, Bi-Polar disease, Conduct disorder, Tourette's, Oppositional defiance disorder) is often not studied with regards to types of ADHD. Early studies suggested that people with Inattentive ADHD were more likely to have depression and anxiety and the Hyperactive/Impulsive and Combined types were more likely to have Oppositional symptoms and Conduct disorders but I believe that Bi-Polar disorder was equally linked to all types. I have included the abstract of the study done at the University of California (below). I think that the non-stimulants do not help SCT at all. There are not much help for the inattentive symptoms of ADHD-PI either. J Am Acad Child Adolesc Psychiatry. 2007 Aug;46(8):1041-50. A randomized, controlled trial of integrated home-school behavioral treatment for ADHD, predominantly inattentive type. Pfiffner LJ, Yee Mikami A, Huang-Pollock C, Easterlin B, Zalecki C, McBurnett K.
OBJECTIVE: To evaluate the efficacy of a behavioral psychosocial treatment integrated across home and school (Child Life and Attention Skills Program) with attention-deficit/hyperactivity disorder (ADHD) predominantly inattentive type (ADHD-I). METHOD: Sixty-nine children ages 7 to 11 years were randomized to the Child Life and Attention Skills Program or a control group who did not receive the intervention. We compared groups posttreatment and at 3- to 5-month follow-up on parent and teacher ratings of inattention, sluggish cognitive tempo, and functional impairment. RESULTS: Children randomized to the Child Life and Attention Skills Program were reported to have significantly fewer inattention and sluggish cognitive tempo symptoms, and significantly improved social and organizational skills, relative to the control group. Gains were maintained at follow-up. CONCLUSIONS: Behavioral psychosocial treatment, when specifically adapted for ADHD-I and coordinated among parents, teachers, and children, appears efficacious in reducing symptoms and impairment associated with ADHD-I. Would that behavioral psychosocial treatment work for adults with SCT. It seems like everything I read is about kids. If so do know where I could receive it. I live in VA. I emailed the university of Cal. to get more info. You said nonstimulants don't help ADHD-PI but up above you said Straterra sometimes does. isn't that a nonstimuant med? Thanks a lot. I really want help. I scored a 1230 out of 1600 on my SATs and I'm a 31 year old part-time dishwasher. I want to do something better with my life. I was surfing around the web and a read about alternative meds Attend and Memorin. Have you heard about them? I am usully wary about alternative meds. To add to one of your previous discussions I think I have SCT and I am not impulsive. The conclusion of this study is this: Meta-cognitive therapy yielded significantly greater improvements in dimensional and categorical estimates of severity of ADHD symptoms compared with supportive therapy. These findings support the efficacy of meta-cognitive therapy as a viable psychosocial intervention. I have tried Attend and did not feel it made any difference in symptoms. I am not familiar with Memorin. Strattera is a non-stimulant but it does not seem to work much better than Ritalin in people who do not respond to Ritalin. The reason, I believe, is that Ritalin and Strattera work similarly on the neurotransmitter norepinephine. Having said that, I would give it a try if I were you. There seems to be genetic reasons why some people do not respond to Ritalin but that genetic predisposition has not been studies with Strattera. There seems to be an allele of the gene known as ADRA2A that when present makes Inattentive people MORE likely to respond to the stimulants. If these allele is absent then the person will NOT respond to the stimulants. No one has looked at this allele and the response to Strattera yet. The interesting thing about this ADRA2A gene is that is also involved in hormonal secretion and is known to play a role in Thyroid dysfunction and Diabetes. I have said before that when we know more about inattentive ADHD and Sluggish Cognitive Tempo we will see that there is a strong hormonal component to these problems. Genetic studies are moving us closer to a better understanding of the Inattention and sometimes sluggishness associated with ADHD-PI and I believe soon there will be medication specifically targeting the genes that are amiss. The mechanism of action of atomoxetine is unclear, but is thought to be related to its selective inhibition of presynaptic norepinephrine reuptake in the prefrontal cortex. Atomoxetine has a high affinity and selectivity for norepinephrine transporters, but little or no affinity for various neurotransmitter receptors. So give the Strattera a try. It may not help but if it helps a bit it is worth it. Thanks I will ask my psychiatrist about Strattera. I read in Dr. Amen's book that stimulents may trigger a manic episode in people with bipolar, so that may be why Ritalin and Adderall did to me. I can't really remember because I took them like 10 years ago before I knew I had Bipolr II. Have you heard this? If that is the case maybe I will try the stimulents again now that I am on antimania meds. I'll have to talk to my psychiatrist. Even though there are no books devoteded solely to ADHD-PI and/or SCT do you know of any books that at least have a couple really good chapters on ADHD-PI and/or SCT? Thank you for this great website. We have recently discovered information about SCT and it has opened up a new world for us in understanding our son. While I understand your concern about lumping the characteristics of primarily inattentive with SCT, the opposite holds true as well. As we have experienced first-hand, the methods for treating one DO NOT work for the other. They are as different as night and day in my opinion and we have never understood why our son's symptoms were not really the same as ADD though that was his diagnosis. We were sure there was something else he needed to be diagnosed with. His reactions - both mental and physical are slow. He is incredibly bright (identified as gifted) but his reactions to everything are very slow and he is sluggish and inactive without prodding. He has been determined to not be responsive to ADD medications and also to have an adverse reaction to ADD medications. I am very much looking forward to more research developing on SCT. BTW...we could not agree more that coffee seems to be the best medicine for our son. He has been drinking coffe regularly for the last year and it has been the single biggest help. He still needs more help but thank goodness for the discovery. Thanks for your comments! SCT can be resisteant to treatment especially in kids as the stimulants can make some of them hypoactive which is the last thing you need in kids with SCT. I agree with you that the DSM-V needs to bring back the diagnosis of SCT in order that more studies are done to establish the cause and the cures of this problem. I just need to say a big "Thank You" for sharing, it is a blessing that I found your website. I am a SCTer and I think that the DSM needs to have some changes made. It was called ADD first then it was called ADHD, isn't this disorder to do with attention? SCT is defiantly a attention disorder. Bearkly said that (PI, C, H ) are the same disorders with inhibition, but are just levels of severity of the disorder. SCT is to do with Focus attention in that the person has a hard time identify what is important. Non Stimulants are pointless. Even at high doses Adderall 20mg doesn't help. I don't want to go any higher. Coffee + melatonin 3mg or higher + Adderall works wonders for me. I think SCT is due to the brain being flooded with dopamine and NP is depleted. So if you fix the dopamine you will fix the NP. - melatonin is very safe so I would recommended it to a child, Lowers dopamine which will correct the imbalance. - Coffee seems to correct this imbalance. - Stimulant is needed to counter the effects of the melatonin. Thanks for your first hand report on what helps with your SCT. Very helpful!! I am currently a PhD student at Johns Hopkins in Pharmacology/Neuroscience and I have Inattentive ADD & SCT. It has been a long road to get to where I am today, but I have managed to compensate for my deficiencies. Stimulant medication has tremendously helped negate most of my SCT & ADD symptoms. I personally believe Sluggish Cognitive Tempo (SCT) extends beyond just mental processing. I would best explain how I feel on a daily basis (without medication) as someone who has the flu & simply doesn't have the energy or motivation to get out of bed and do anything. I feel like this all the time and have felt like this since I was a child. I remember my mother had to force me to go to gymnastics & ballet practice, but once I got there I was able to perform normally. Similarly, simple activities such as walking up stairs & holding my arms up to wash my hair in the shower are exhausting. Stimulant medication makes all these "energy" hurdles disappear. There are a number of things that could be shortchanging my energy levels, such as a deficiency in nitric oxide delivery to cells, or other deficiencies in the cellular metabolic pathways (dopamine, AMPK pathway). Overall, I feel both inattentive ADD & SCT are understudied; therefore, the current classifications are insufficient and may be somewhat inaccurate. 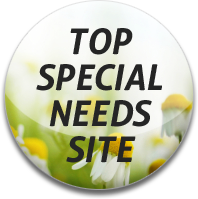 Until classifications are correctly sorted out (which could take 50 years), I would strongly advise to seek out specialists who deal with Inattentive ADD & SCT specifically, not just an ADHD specialist. Also keep in mind that psychiatrists (medical doctor, MD) are not trained in the same manner as psychologists. Psychiatrists understand the medical implications and prescribe medication, but psychologists are generally much better talking about behavioral & lifestyle issues. And lastly, just because someone is a “specialist” doesn’t mean they know everything or are always right. Use them for their support & expertise, but take it all with a grain of salt…You know your body better than anyone. Thanks for your comments!! I am beginning to wonder if SCT could not be related to some of the cognitive slowing we see in people as they age. Neurologist studying the aging brain are looking into Myelin changes as well as neurotransmitter changes and changes in lateralization or what part of the brain does what to see if they can figure out why our processing slows down as our brains age. If in your Neuroscience work or pharmacology you work you find anything else that might be of interest to us, I would be most interested in hearing about it. Congratulations on how far you have come!! PhD at Johns Hopkins -Very interesting to read someone with a similar feeling about SCT as physically oppressive, but that once thrown into an activating context, you can perform normally. I am just diagnosed ADD-PI, and in first 2 weeks of trying Ritalin; I feel more awake which is a real blessing though still day-dreamy and without much direction. My subjective impression is that I have SCT, but can be jolted out of it by interesting interaction - otherwise I couldn't have got so far in my education. (BA from Cambridge.) I also see a lot of impulsiveness in my ADD-PI of a more discreet feminine type though, like snap decisions when I lose track of where I am in a journey or a task, blurting out answers, and just starting the first task I can think of without prioritising. I agree that listening to your own body is the best guide while the definitions and possibilities for helping problems with executive functioning are so fluid. I just daydream way more than what is normal. Why do we never hear of Gstalt Therapy used for ADD? That is a good 70 percent of the cure. I am inclined to disagree with you and agree with Dr. Barkley in saying that SCT and ADHD-PI are one and the same. I have PI and SCT. I think there is some misconception as to what "sluggish" means. The outward appearance gives the impression of sluggish cognitive ability, but from the inside I can tell you, from personal experience, that my brain is most definitely not sluggish. I could list numerous examples that would prove my point. What my brain is however, is overwhelmed by information at times. The result, depending on the situation, can vary from almost imperceptible confusion to outright shutdown and appearance of sluggish cognition. I believe what you are seeing as two separate conditions is in fact one with a greater or lesser degree of information overload. You are splitting the bell curve into two because as confusion increases the brain handles it differently. This is why those with SCT always have PI, but the reverse isn't necessarily true. I would suspect that everyone susceptible to these conditions are on a continuum with PI at the lowest level and SCT at the highest, and everyone has probably had moments at every point in between. As a side note, I do wish they had named it something else. "Sluggish" is like describing people suffering from depression as "dull". I think there will be a lot of resistance from parents to admit that their child's brain is sluggish. I vote for Severe PI!